Started in the year 2013, Coverfox has evolved into one of the pioneers of InsurTech in India. 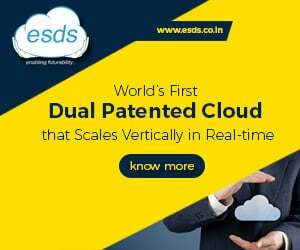 The company has raised Rs 175 crore funding so far and in the current financial year, it is expecting a premium of Rs 350 crore with 30,000 policies being sold or renewed every month from its platform. In an exclusive interview with TechObserver.in’s Shalini Shukla, Coverfox CEO Premanshu Singh says that this has been possible due to technology intervention and the company is now aiming to evolve its product to a level that human interaction should come only if it is absolutely necessary. “When we started – all our products needed advisory support. Currently, 100% of two-wheeler insurance is sold without any human intervention and 70% of our car insurance is sold with less than 1 minute of talk time. We are very proud of these results and are working to improve on these metrics and replicate this success across other business units. A tech first approach is what helps us achieve this,” says Singh. 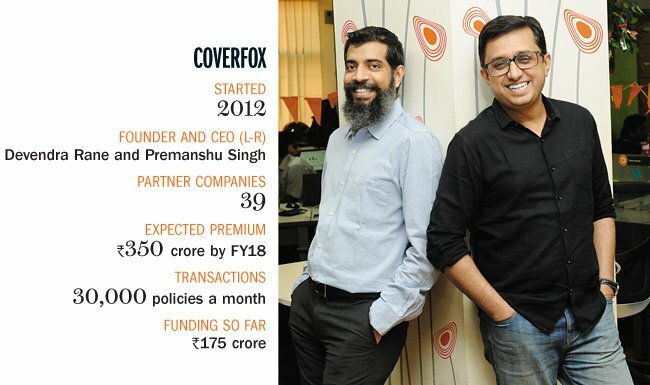 Coverfox has completed 5 years and it is in a growth trajectory in a competitive industry – Insurance. How has the journey been so far? We started Coverfox.com in May 2013, with the aim of creating an unbiased online insurance distribution business. We wanted to restore the power of choice to the consumers, who were buying insurance products that are generally difficult to understand. Before we started, there were very few players doing anything in the online insurance distribution space. The few competitors we had were satisfied with just showing comparison based on price and collecting leads for call-center based selling. With our algorithm-based comparison of insurance covers, which are unique to each and every individual, we disrupted the way comparison was being done. We created a product which presented all key information to the user in easy-to-understand infographics rather than throwing the policy document at them. Our 5-years journey has helped us understand our consumers better in terms of their expectations from the comparison, buying and servicing for an insurance cover. We believe these insights will help us stay ahead as the largest InsurTech business in India. To help that cause, we’ve built Coverfox on robust scalable technology to ensure that if we have to grow 10x, we don’t have to increase our manpower in the same ratio. We don’t believe in throwing people at the problem. These are exciting times to be in Insurance space and the next few years should see rapid growth for everyone in the industry. How the idea of setting up Insurance broking firm came in? ‘Insurance is a subject matter of solicitation’ – this phrase that appears at the end of every insurance advertisement is probably familiar to most Indians. The disclaimer, which was made mandatory by the Insurance Regulatory and Development Authority (IRDA) puts the onus of choice on the consumer and expects him to discuss and understand the terms and clauses before buying a policy. But buying an insurance policy hasn’t exactly been a cakewalk for consumers. Insurance contracts are filled with legal terms making it very complicated to understand. Usually, it is the agent’s job to explain the nuances, but that does not always happen. For example, Life Insurance is often sold as an investment product, rather than for pure protection. With life insurance, the term plans that offer the highest life cover to consumers, don’t sell as much since they are the least lucrative for agents. And that’s not all; the process itself is cumbersome where clients must fill lengthy forms. While there were a few competitors before us who had built a comparison engine, the comparison was largely just based on price, with no efforts to educate the customer on what is a good policy. The onus to educate was placed solely on the call-center advisor, and not on the website/product. We took that as a challenge and built a technology-first insurance broking firm, where the product was the hero to educate the consumers on what they were buying. The company has raised Rs 175 crore funding so far and in the current financial year, it is expecting a premium of Rs 350 crore with 30,000 policies being sold or renewed every month from its platform. What have been the Coverfox insurance achievement so far and what are your future plans? We are proud to be the pioneers of InsurTech revolution we are seeing today. More and more entrants are coming in the insurance space with a tech-first attitude. These are good signs for the industry and the growth in insurance penetration would help us all. We are boastful of our NPS score which currently stands at 73. It is one of the best in the country. Apple has an NPS of 72 in the United States. We have a Facebook rating of 4.6 whereas other companies have a much lower rating. Aiming to digitize every aspect of insurance selling, we launched a completely Free Android App – ‘Coverdrive’ – last year, which helps insurance agents go digital and grow their businesses. This initiative is targeted at creating job opportunities for college students, house-wives, small-scale businessmen and unemployed youth in India. We plan to maintain our position as the largest InsurTech business. There’s a lot to be explored in insurance yet. There are a lot of macro insurance products that face an issue with distribution right now where we can add value. We are co-creating new products along with insurance companies that appeal to millennials. How is the Insurance broking firm Industry in India shaping up and how is Coverfox placed? A lot of new entrants are coming into the Insurance space as GICs, aggregators, corporate agents and insurance brokers. We consciously applied for a broking license as it gives us an opportunity to fight on customer’s behalf for claim settlement and also allows us to co-create products with the insurance companies. Over the next few years, a lot of disruption is going to happen on the distribution side of insurance. Some of the big players like PayTM and Amazon are coming in with existing customer base to bank upon. Overall this should help grow the insurance penetration and increase awareness. It’ll benefit everyone in the industry. Insurance has many opportunities outside of just distribution too, where we are at an advantage, for we’ve spent the past years in building a complete ecosystem on the servicing side too. With our past learnings and the solid product we have created – we plan to ride the wave and grow exponentially in the next few years. In what way, you are using technology? Our eventual goal is to evolve our product to a level that human interaction should come only if it is absolutely necessary. Both our product and the market need to evolve for that to happen. It can’t be done overnight. When we started – all our products needed advisory support. Currently, 100% of Two Wheeler insurance is sold without any human intervention and 70% of our Car Insurance is sold with less than 1 minute of talk time. We are very proud of these results and are working to improve on these metrics and replicate this success across other business units. A tech first approach is what helps us achieve this. Right from breaking down complex terms and conditions into easily consumable information to showing the right policy to the user based on his age, gender, lifestyle, geographic location, etc a lot goes behind the scenes to give a customer the best possible experience. Equal effort goes behind our homegrown CRM to increase efficiency on the sales side too. Our efforts on CRM give us some of the highest conversion rates in the industry. Technology also helps us create and scale-free services around claims that help end consumer like Express Claims Service and Nominee Assistance Program. We launched the ‘Express Claims Service’ for our Car insurance customers, which was the first of its kind program giving a 3-day claim settlement guarantee. Recently, we launched a ‘Nominee Assistance Program’ which is exclusive to our Life Insurance customers. This program provides claims support, document storage, legal help and emotional counseling to a nominee in the event of a loved one’s demise. We also have a homegrown CMS to create high-quality articles to educate customers. These pages also serve as a welcome mat to introduce potential customers to our product. Technology is at the heart of everything we do at Coverfox. How do you look at rural India from the marketing point of view? In the post-Jio era, the rural market is seeing a growth in all categories. FinTech will not be an exception. Insurance awareness is very low in the rural markets in India. It’s a good opportunity for us to educate the consumers and gain their trust. We are working on vernacular content to educate the masses, and also tap into these markets via our B2B2C business unit – Coverdrive. Our plans are to build on the foundation we’ve created. Grow exponentially in the existing product portfolio we possess and also come up with new products in the future. We have one of the best distribution networks in India. We plan to capitalize on that. India has never been a winner takes all market. For every Amazon, there’s a Flipkart. For every Uber there’s an Ola. We intend to be the preferred brand for insurance for new India.